Hospice Care Team: Individual Roles in Providing End-of-Life Care | Ambercity Hospice, Inc.
For people suffering from terminal illnesses, wishing to spend their remaining days with a comfortable and relatively painless life may be an impossible goal without proper care and support. 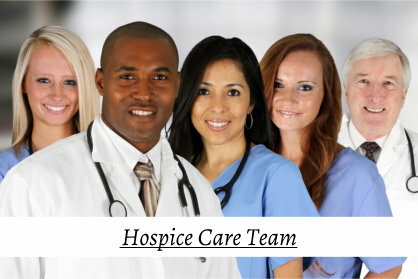 Hospice care, a service that we specialize, at Ambercity Hospice, the primary provider of hospice care in Central Ave Riverside California, has been the leading care option for terminally-ill patients who wish to have an improved quality of life despite the fact that their days are numbered. To better understand the importance and impact of hospice care to a terminally-ill patient’s life, you should know the individual roles of hospice team members and how they help the patient and their family. While the patient can still have their primary care physician to focus on their general health, the hospice doctor will focus on developing and coordinating a care plan with the physician that will concentrate on alleviating and preventing the patient’s suffering from their symptoms and improve their quality of life in their last days. A skilled hospice nurse assesses, identifies, and develops a care plan to address the needs of the patient and his family. A big part of their role in hospice care is to coordinate team visits and ensure that the approved care plan by the hospice doctor and primary care doctor is implemented. However, their most important role is managing the patient’s symptoms and preventing pain. The social worker will assess the support needed by the patient in terms of emotional, spiritual, social, and financial aspects, and will work out a care plan to address those needs. The hospice social worker may also provide counselling to the patient and the family and refer them to community resources available. Hospice volunteers provide companionship to the patient and family. They also offer to do non-medical services, such as running errands or providing respite care for family caregivers. And at the time of death and bereavement, they provide emotional support to the family. The chaplain provides emotional and spiritual support to the patient and family. At the last stage of life, the patient will have concerns, frustrations, and feelings of depression. 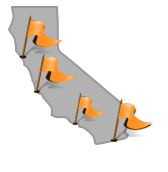 The chaplain will be with the patient to listen, ease their suffering, and help them understand the state they are in. During bereavement, the chaplain may also assist with memorial preparations and offer counselling to the grieving family members. At the last stages of a person’s life, a comprehensive and meticulous care – the kind of hospice care we offer at Ambercity Hospice – is imperative. Get the most outstanding hospice care in Central Ave Riverside California by calling us at (951) 686-8100.